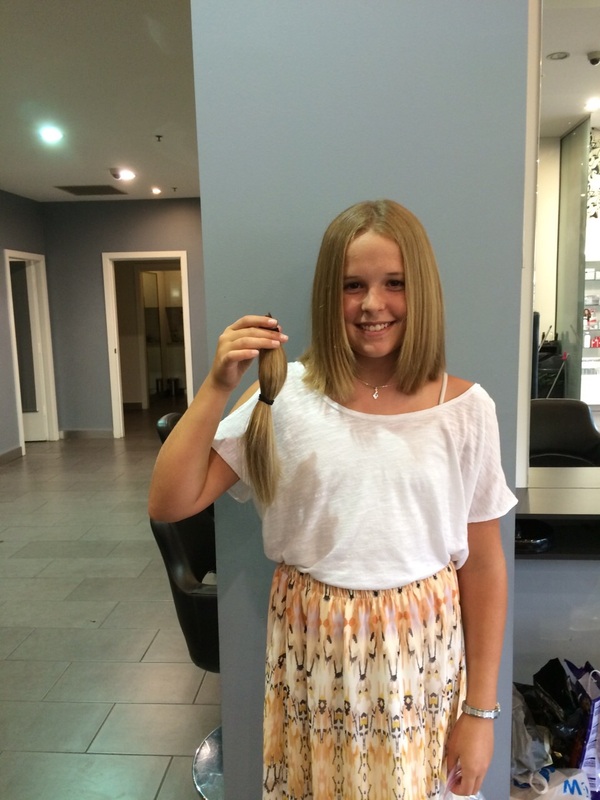 My remarkable daughter has just chopped off her long, luscious locks in order to send her hair to a charity that makes wigs for people with cancer. 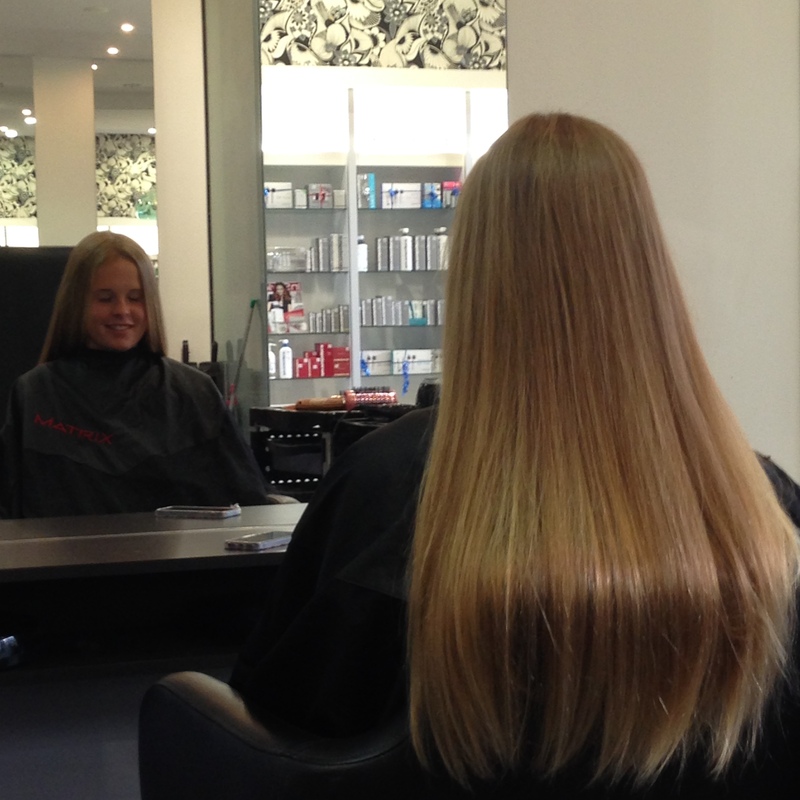 Last year my sister suggested to my daughter that the next time she cut her beautiful long hair she shouldn’t waste it – she should donate it to a charity. My daughter took the initiative to research charities that accept hair then took note of how long the minimum length the hair had to be. For months she has been measuring how long her hair was so that she could conform to the donation rules. Finally yesterday she was ready, so with zip lock bag in hand and hair elastics to keep the hair tied neatly together in a ponytail, we visited the hairdresser with strict instructions that the hair must be clean, not have any product in it, not touch the ground, nor even be slightly wet before we sealed the 30 centimetre ponytail in an air tight bag for delivery to her charity of choice (Pantene Beautiful Lengths). At an age when most tweens would be wanting the longest hair possible or even to start colouring their hair, my daughter made the choice to put someone else’s needs above her own which in my eyes makes her far more beautiful than someone with long, dyed hair. She doesn’t get any reward for making this choice, other than the knowledge that she has helped someone in their time of need. Her choice doesn’t stem from a personal connection to someone suffering cancer, she is just empathetic to the strains put on women who have to lose their hair in order to treat their cancer and she is grateful for her own good health, so to make this small sacrifice is just an altruistic choice. I couldn’t be prouder of her and to top it off, I think her shorter hair really suits her proving that (although I may be a bit biased) she is truly beautiful inside and out. My heart breaks as I share this story with you. 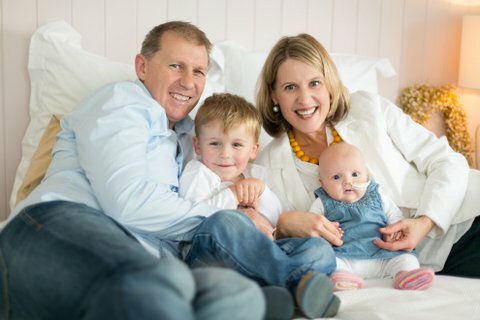 Earlier this year, my friend Carmen and her husband Kyle had a beautiful daughter Tilly – a little sister for their gorgeous son Jock. At Tilly’s standard eight week check up they were shocked to find out Tilly has Infant Acute Lymphoblastic Leukemia (ALL) and in order to have a chance to survive she must undertake two years of chemotherapy and bone marrow transplants. This family’s life has been turned upside down. Life as they knew it changed, as Carmen and Kyle took on a roster of one looking after their son, whilst the other stayed in the hospital with Tilly. Every time they leave the hospital they don’t know whether it will be the last time they will see their baby girl alive. With a depleted immune system there have been a few close calls but little Tilly is a brave and courageous fighter. Most parents of small babies are focused on them reaching their milestones of sitting, rolling and crawling. Tilly has a different set of milestones. The next milestone for Tilly is a bone marrow transplant. Imagine the stress of being utterly helpless to do anything to heal your daughter, other than sit by and watch as she undergoes multiple surgeries and is constantly pumped full of chemicals to kill off this insidious disease. Add to that the stress of day-to-day expenses and mounting medical bills, when neither you nor your husband can work for fear of possibly missing precious moments with your critically ill child. The Swains are proud people and have not asked anyone for help, but you don’t have to be in their shoes to know that although we can’t help eradicate Tilly’s cancer, we can help ease the stress of monetary concerns by assisting this family in need. A fundraising page has been started to help the Swains where we ask you to donate $20 for Tilly. This small amount may not make much of an impact on your weekly budget, but will mean the world to a family dealing with unbearable stress. Please find it in your heart to help and to share this story. I will keep you updated with Tilly’s progress and hope to report in the future that she has grown into a happy and healthy little girl, with no memory of her difficult start to life. Imagine a ten year old boy and his seven year old brother are sent away for a holiday with family when their mother goes in for a gall bladder operation. Then imagine their dismay and grief to return from that holiday to find that their mother is dead and buried, with all traces of her existence removed from the house. Imagine these brothers then go for another holiday with family again a year later, returning to find their father had remarried without their knowledge. Unfortunately, this is not a fictional tale; it is my father’s life. One last bewildering thing about this story was fifty years later, when my father was told by a long lost relative that his mother had in fact died after an operation to remove a cancerous tumor, not a gall bladder operation. Maybe back in the 1950s cancer was considered something shameful and the lies and omissions were to protect the family’s reputation? My father and uncle were never allowed to discuss their mother and had no keepsakes to cherish in her memory. I assume acting like my Grandmother had never existed, was my Grandfather’s way of coping. I recently ordered my late Grandmother’s death certificate for my own selfish reasons of wanting to know her medical history and how that may impact on my health. When I held her death certificate in my hands I was overwhelmed with sadness that this poor woman had not only died alone in hospital without her beloved sons by her side, but then her sons were denied the right to keep her memory alive after she was gone. She was the same age as I am now and her sons were similar ages to my youngest two kids. It breaks my heart when I imagine myself in her situation. Not only did she not live to see her young boys grow into men, she missed meeting their lovely wives and exceptional (cough, cough) grandchildren and great-grandchildren. Luckily my father’s step-mother was a loving mother to the boys and a caring grandmother to us, but she should have been an addition to the family not a replacement. When a mother dies, surely the very least that can be done is to allow her memory to live on through her kids. So although I never got to meet my biological grandmother, I hope she knows she is not forgotten and that her legacy lives on through our family. 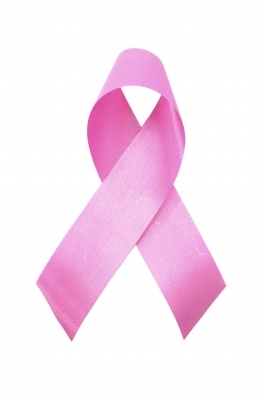 If there is one word that sends shivers down my spine it is the ‘C’ word – Cancer! Today I am attending the funeral of a brave lady who recently lost her long battle with this insidious monster. She showed such courage and composure throughout her treatment. Her bravery was unbelievable. This lady was very entrenched in the school community and gave her all to support her sons. 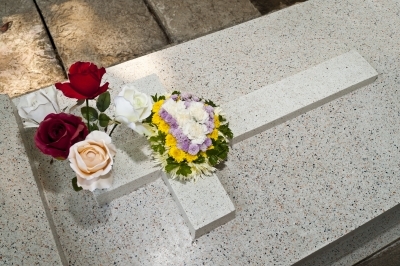 This Mum was the epitome of an organized multitasker – she even planned her funeral down to the music and flowers and ensured her sons had suits purchased in readiness. It breaks my heart to think that she will miss her son’s graduations, marriages and children. It seems so unfair that she has been robbed of such rights of passage. She is just one of many brave mothers that I know who are currently fighting this devastating disease. I take my hat off to these women who are juggling the demands of motherhood with the dreadful reality of treatment. I am in awe of the mental strength of these women and I wish I had a miracle cure to ease their suffering. So when your kids are making a mess and being too noisy tonight, take a moment to be grateful that you are here to experience them growing up. I used hate the thought of growing old, but I now think it is a privilege – one that too many wonderful mothers will miss out on because of that hideous ‘C’ word. Please feel free to share if you know someone affected by cancer.